The new RemoBell announced last summer is now shipping. It’s from Olive and Dove, who made the smart security camera Remocam. 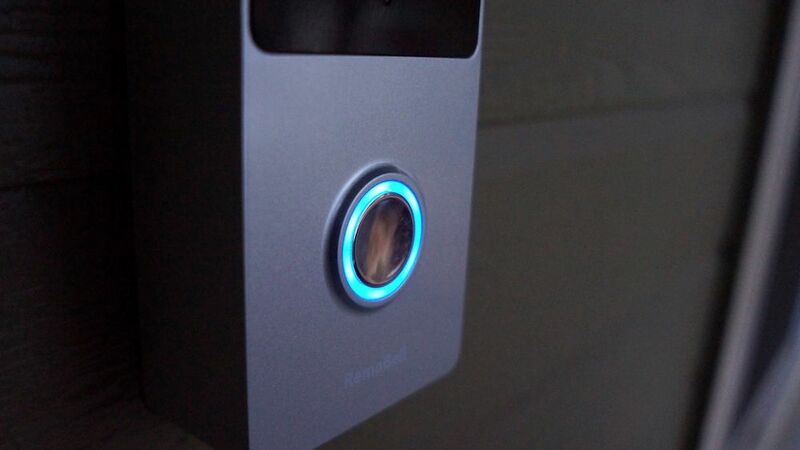 RemoBell combines some of their video technology into a smart doorbell, allowing you to answer your door from anywhere. Here is our take on a RemoBell review after opening and setting up our own RemoBell device. Disclaimer: The writers of this article received a review unit for a few weeks before returning it. They were not compensated in any way. The opinions are 100% their own and not influenced. RemoBell looks a lot like the original Ring. It’s larger and heavier than I was expecting, but it is sturdy, with weatherproof capacity from 0 to 122 degrees Fahrenheit. The button is easy to spot and clear enough; after it’s pressed, the ring around it lights up and it makes a doorbell noise outside to help guests understand that the doorbell ring was registered. 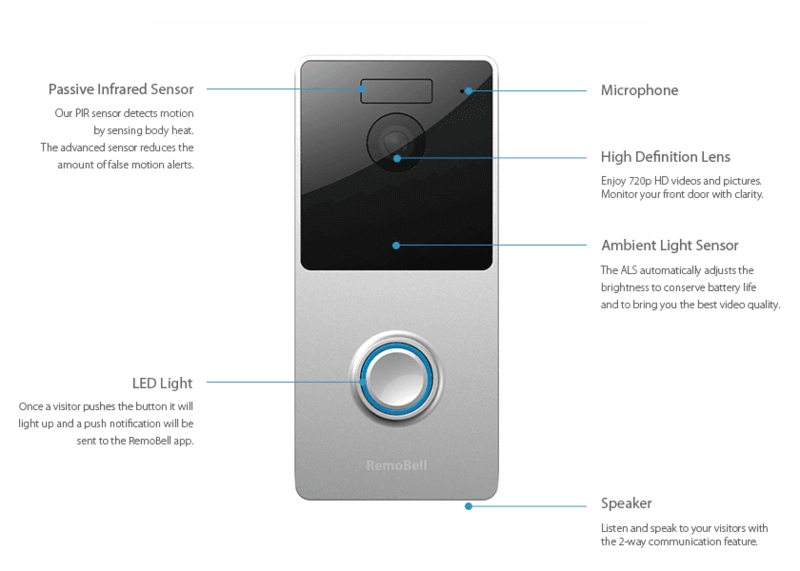 As you’ll see below, RemoBell has a lot of impressive features, including an ambient light sensor. This helps automatically adjust the brightness to use less battery light during the day. Connecting the doorbell to your WiFi takes only a few steps. The instructions are available on-screen, although they are more glitchy than other smart home gadgets I’ve encountered. The app kept crashing as I input my username and information for this RemoBell review. Finally, I just gave up and exited out of the app, but when I reopened it I was logged in without a problem. In the end, it worked, but not as seamlessly as it could have. RemoBell’s installation is very simple. It comes with 6 AA batteries; begin set up by inserting the batteries. Then, you’ll want to install the included mounting bracket by screwing it onto your wall. RemoBell snaps easily into place on the bracket, but you can install the additional security screw to hold it in place. If you don’t currently have a doorbell, that’s not an issue with the RemoBell. Since it’s battery operated, you won’t be fiddling with wires to get it setup. You can install it anywhere, as long as it’s close enough to reach your WiFi connection. RemoBell works on 6 rechargeable AA batteries, which are included in the packaging as a nice perk. They last 4 months with usual use, and then you’ll have to go without a doorbell while they recharge. 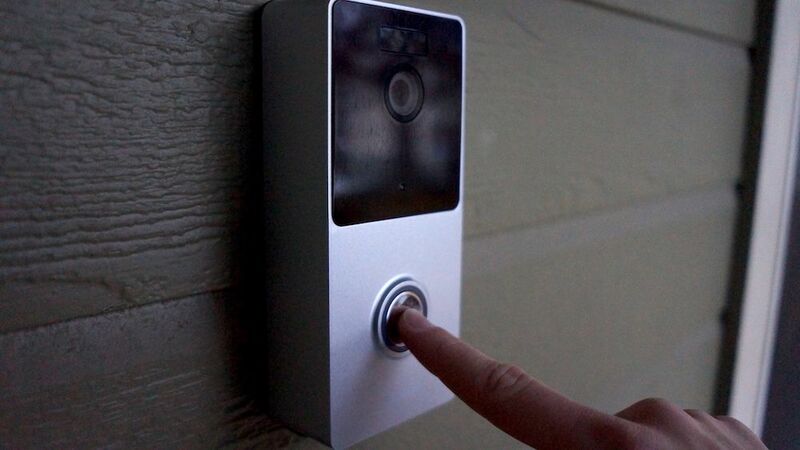 This concept is similar to the original Ring doorbell. It’s good for people who may not have a doorbell, want to place it somewhere unique, or just don’t like rewiring things. It’s bad because it’s easy to steal; a burglar can just pop the RemoBell off of its mounting bracket and run away. RemoBell knows this, which is why they offer a lifetime theft guarantee. 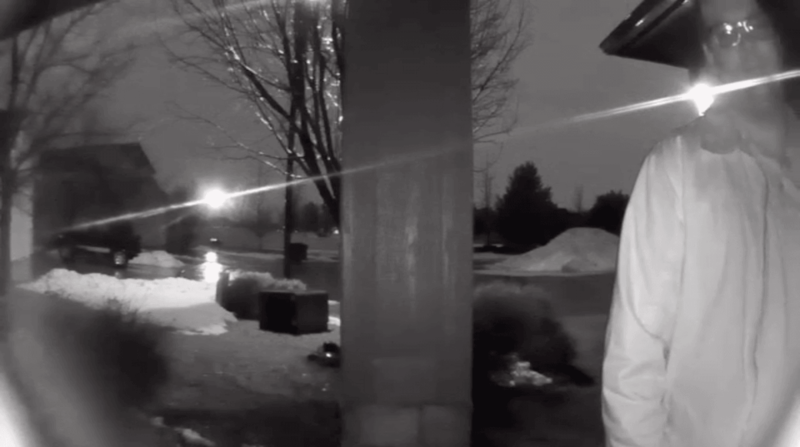 If someone takes off your with your doorbell, they will replace it. You will also likely have video evidence of the theft, which will hopefully help you catch them. You can check battery status within the app and receive notifications when the battery is getting low. Next in my RemoBell review is storage. There are a few things we judge harshly here at Smart Home Solver. One of them is poor security, and the other is forced cloud subscription with monthly or annual fees. RemoBell’s cloud system is good, but it’s not free, and there are no other options for local storage. If you buy a RemoBell, know that you will pay $3 per month for 40 video downloads per month. When first install RemoBell, you’ll get the plan free for 30 days, but after the trial, you will need to pay. This might just be my personal preference and vendetta against smart home fees. $36 per year doesn’t seem like much to some people. But it’s more about the principle of the thing. I don’t want to have to pay monthly fees. At least provide a complimentary 24-hour look back window. One plus is that RemoBell allows you to have up to 5 viewers per account. You won’t have to buy multiple cloud subscriptions for one household. RemoBell has a wide-angle 120-degree lens, not a fisheye like most of its competitors. Initially, it looked very different to me, but then I realized that it was because I wasn’t viewing it in landscape mode. Your footage will look strange in the preview mode, but just hit the fullscreen button and turn your phone to the side. You will quickly see that the footage catches a surprisingly wide field of view. The camera is 720p, which is good enough to identify faces clearly, while still not as crystal clear as a 1080p camera. It has 2 infrared sensors for night vision. The audio quality is great—our guests didn’t need to shout for us to hear what they were saying. You can’t hear your own voice in the video playback, but I am still pleased with the quality overall. 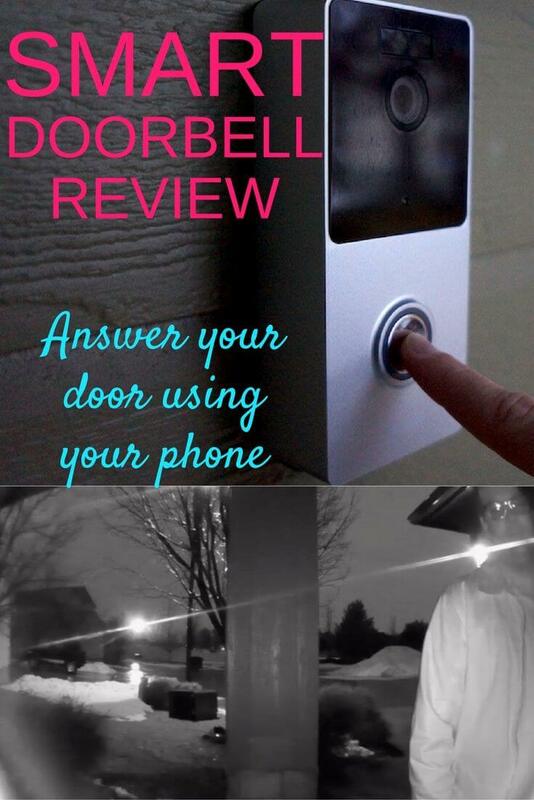 When testing the doorbell for this RemoBell review, I was very pleased with the accuracy of the alerts on the RemoBell. Since it has a passive infrared sensor, RemoBell can detect body heat. It knows the difference between a tree branch moving in the wind and a person walking up to your home. To make the most of your alerts, make sure you turn on cloud storage in settings during setup. That will save videos of missed or unanswered calls in your activity log so you can review them later. 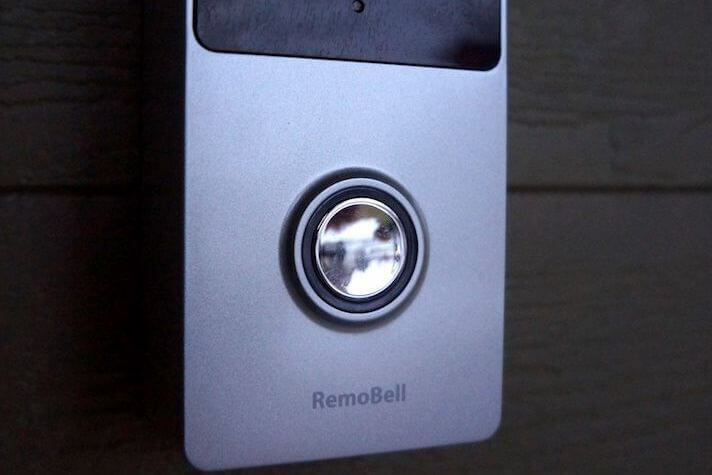 RemoBell sends notifications for when the doorbell is rung or motion is detected. I only received one false alarm after using RemoBell for a week, and I think it was from my neighbor’s car pulling up. Adjusting the sensitivity would probably help, and that option is available in settings. My only gripe with alerts was the speed. I would hear someone at my door, receive an instant live video feed push notification from RemoBell, and tap Answer. After that, it took just a little too long to connect, especially since I’m the impatient type who would want to talk with guests or delivery people right away. Maybe this will speed up as software updates are released. Unfortunately, there is no desktop viewing available. You will have to keep your smart phone handy to check on the front porch. I do appreciate how the app makes it easy to just tap on the microphone icon to talk with guests. Two-way talk is one of the most enticing features of smart doorbells for many consumers. Overall for our RemoBell review, we say that Remobell is certainly worth it if you’re looking for a battery-powered WiFi doorbell. We’d like to see a smaller version created next, similar to the Ring Pro, and an indoor chime to provide an additional alert. Offering a free tier would also bump them past some of the competition. For our full doorbell comparison, check out Ring vs August vs SkyBell.